Looking for that perfect, unique, healthy, organic gift for that special someone? 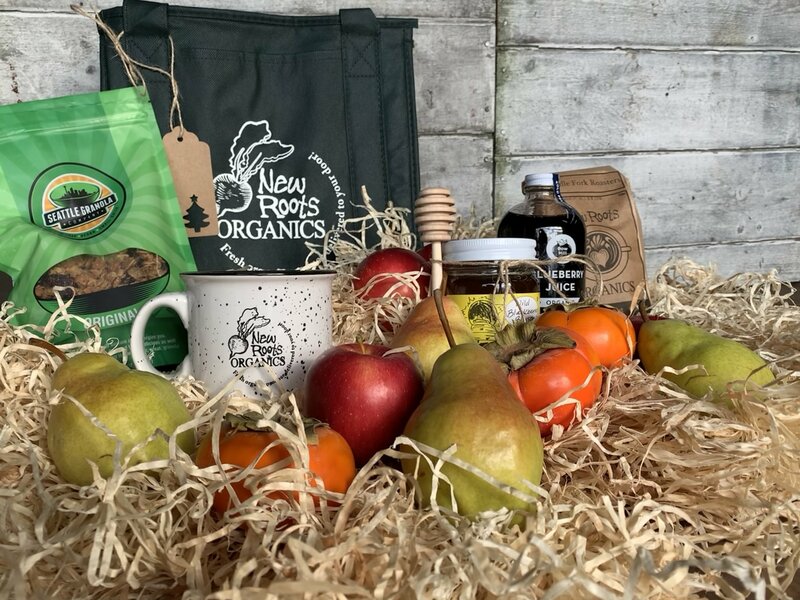 A gift certificate to New Roots Organics is the perfect present! With a gift certificate, your gift will keep on giving. I want one! How does it work? Simple! You can purcahse a gift certificate or bag online at: https://new-roots-organics.myshopify.com/. Or, you can call us at 206-261-2500, let us know the dollar amount of the gift certificate you wish to give, and we will send you a PDF or a hard copy that you can wrap in ribbons and present as a gift! How Are Gift Certificates Redeemed? Each gift certificate contains instructions on how they can be redeemed...and it's super easy. The recipient signs up on our site, and when prompted for a gift certificate, they just enter their special code (it's printed on the certificate!). They still get to choose what size, type, and the frequency their bin is delivered, and still have all the fantastic features that all our customers enjoy. When they finish the sign up process, the gift certificate amount will be placed on their account for them to use towards fresh, 100% organic produce (and coffee!). Buy a gift certificate or box online or call us now at 206-261-2500 or let us know if you have any questions!